The beer situation in the Animal Kingdom is rough. 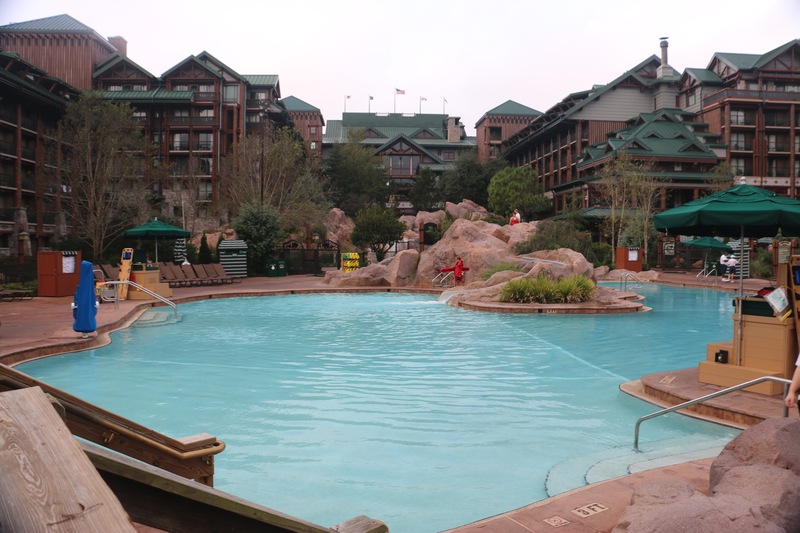 They seem to be cognizant of this, since they recently added several “beer carts” along the paths in Asia (near Everest and on the way to DinoLand U.S.A.). Indeed, the rising demand for good beer seems to be causing a bit of a branding crisis for the park. Ubiquitous is the Safari Amber ($6.95), which Cast Members will tell you is specially brewed for the Animal Kingdom. That’s a little bit of a stretch: it’s actually specially *branded* for the park. You know the “Red” or “Amber” beer that seems to appear in restaurants that only sell Bud and Bud Lite, but has some cute name that directly references the tacky ambiance of wherever you are? This is the selfsame brew, and will taste exactly like Kingdom Red Ale in the Kansas City Chief’s stadium, or Ray’s Red at Tropicana Field in Tampa, or Thirsty Frog Red Ale “brewed exclusively for Carnival Cruise Lines.” If you’ve had one of these mystery “Red Ales” before, you’ve had the mediocre Safari Amber. Located in Africa, right outside Tusker House. 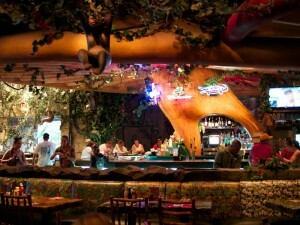 The bar represents a microcosm of the Animal Kingdom experience. The selection is sparse and lacks air conditioning but is none-the-less pleasant and entertaining. The live band is right behind you, and ample shade, cool beer, and ceiling fans can make you forget the heat. Don’t be fooled by the vast collection of craft beer bottles along the back of the bar; they are only decoration. My bartender said they were there because they “have animals on them.” The taps, however, are functional. 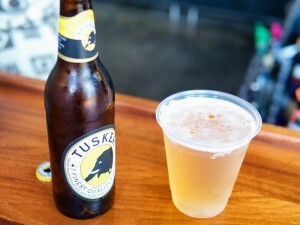 In addition to Bud and Safari Amber, there is Tusker Lager from Kenya and St. George Lager from Ethiopia (both $7.50). 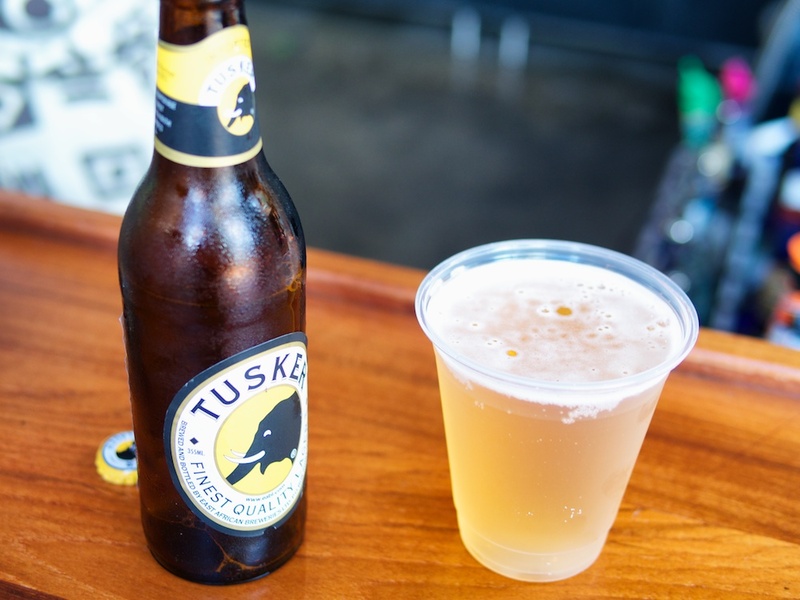 It’s great to see “local” beer on tap, and in another setting both might be just average, but there is something about this bar that makes the very fizzy, honey touched Tusker Lager work. The St. George beer is inferior to Tusker but better than Safari Amber. Oh, and the bartender says the Tusker House restaurant is named after the beer. Who needs a guidebook when you have a bartender? The Dawa Bar also has a good selection of mixed drinks for your spirit-drinking companions. The restaurant is loud but also indoors and the bar has plenty of space, making an open spot or two likely. It’s also open for as much as one hour after park closing. Safari Amber makes another appearance here, but so do the seasonal Samuel Adams (Oktoberfest right now) and Yuengling (both $7.95). Both are better than average choices, if not particularly exotic. Being able to order off the restaurant’s menu is a plus. A couple of carts have been added along the path running through Asia. They sell Kingfisher Premium Lager from India and Singha from Thailand, both in bottles. I have seen Singha in Asian restaurants, but Kingfisher was new to me. (Ed. – Kingfisher is also available at Sanaa – it’s particularly good with the Indian-inspired menu there.) It’s too bad these aren’t on tap, but if you are stuck in Asia waiting on your party to get off Everest, these are not bad options. It turns out Animal Kingdom is not a completely barren beer desert. If you know where to look, you’ll be in no danger of thirst. Need more advice for what to drink in the World? Make sure you check out the Walt Disney World Bars and Lounges eGuide, which will be receiving a substantial update this October. The bar inside yak and yeti is pretty good. Although, the best drink there seems to be a strawberry daquiri. But they have several Asian beers. There’s also a drinks only window around the corner from yak and yeti counter service. It’s pretty good. I don’t want to be drinking in the areas with the most intense rides at AK, so I don’t know what beer there is over on the east side of the park. But there’s definitely more options for beer than mentioned in the article. Although I don’t know of good selection not mentioned other than the yak and yeti bar. Which is always first come first serve seating. When I visited Yak and Yeti for this article the two taps were Safari Amber and Bud Light. The menu had a couple of bottles listed, but I don’t think it was anything unusual. Unfortunately my hand written notes just mention the two taps at the bar. My recollection is that they have a handful of bottled beers from Asia. Tsing tsaou, kirin, etc…. Animal Kingdom is the roughest place to get beer this side of the equator and hemisphere. I’m glad they carry some beer from Africa in Dawa bar, that’s nice. However, if they just want to theme the beer around animals (as they do with the bottles behind the bar) they could get CB’s Caged Alpha Monkey or Great Lakes Rye of the Tiger. Over near Everest keeping with the Yeti theme, how about SN’s Bigfoot Ale or any of the myriad of Great Divide’s Yeti series. Last May, in the beer cart near Expedition Everest , they did have Great Divide Yeti Imperial Stout in bottles. It was a little too hot to enjoy that day though. Whaaaaaat!? Hopefully that makes a return this winter. 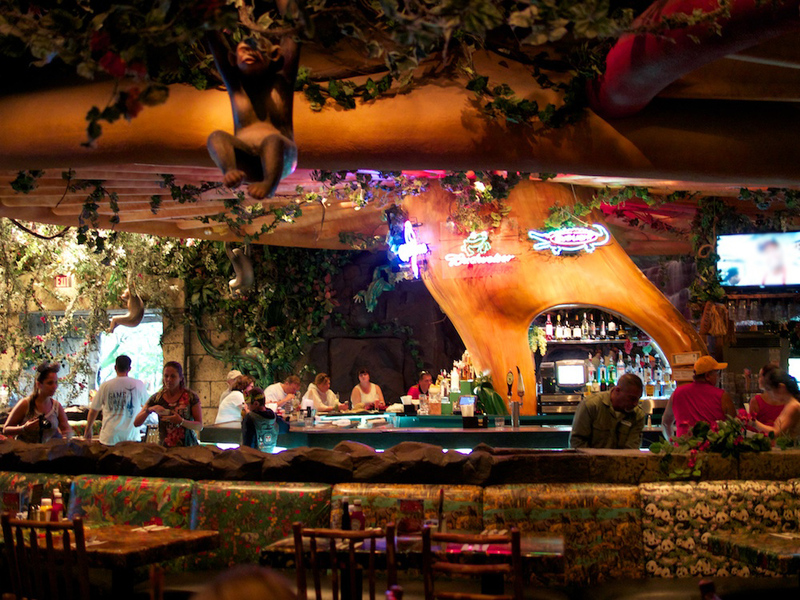 Ceiling fans at Dawa?….not so much. There is one over the bartender, but none over those seated at the bar. I couldn’t believe that they didn’t install fans during the renovation, especially considering that the location has all the comfort of an arm pit for most of the year. The original African margarita (sold about 3 years ago) and mixed and poured by the bartender was wonderful. This “new” margarita, pre mixed, is just awful. So sweet, I poured mine out after a couple sip. Go to La Cava at Epcot. Much better margaritas.